The Pittsburgh Independent Media Center is pleased to present a new episode of Rustbelt Television. Rustbelt TV brings news from the grassroots, news from outside of the corporate media to a new audience. It is based upon Rustbelt Radio, the weekly radio show that airs every Monday at 6pm on WRCT-FM 88.3 Pittsburgh and on Saturdays on WVJW-FM 94.1 Benwood in the Wheeling, West Virginia area. Rustbelt TV is produced by an all-volunteer staff. We are currently looking to expand Rustbelt TV to become a regularly broadcast television program, and as such, we are always in need of volunteers. If you'd like to get involved, contact us at video@indypgh.org. 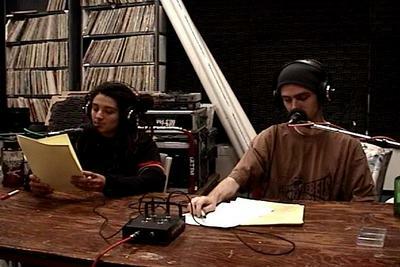 This episode contains segments on the Pittsburgh anti-war activities around the March 20th anniversary of the escalated bombing of Iraq, reports from Guatemala regarding opposition to CAFTA, coverage of Paul Wolfowitz's appointment to the World Bank, stories about war profiteering during the Nazi Holocaust, a story marking the anniversary of the Armenian Genocide, coverage of racism at the University of Cincinatti, a story about the Justice for Janitors protests around Sky Bank, and several other stories from both the region and the world. It then ends with The People United, a production of the Pittsburgh IMC about the anti-war convergence in Pittsburgh in January 2003. Brought to you by the Pittsburgh Independent Media Center with additional support from Students for Independent Media: Carnegie Mellon.